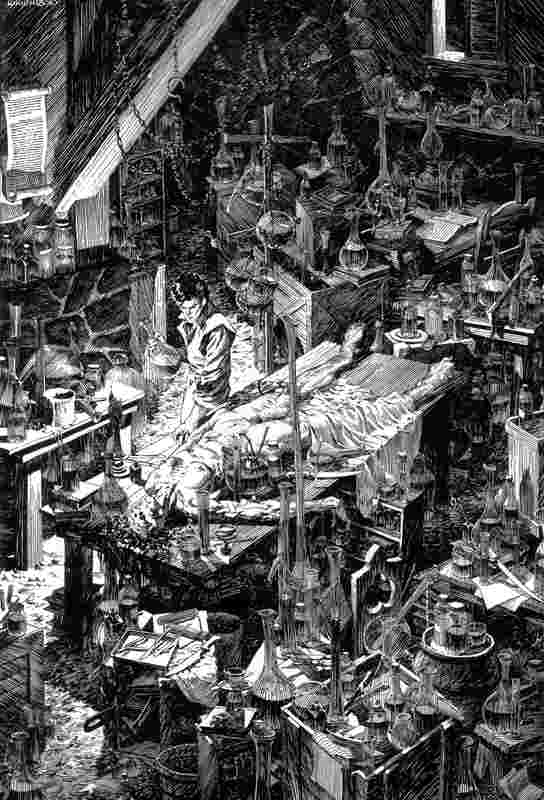 Bernie Wrightson · Heads Up! 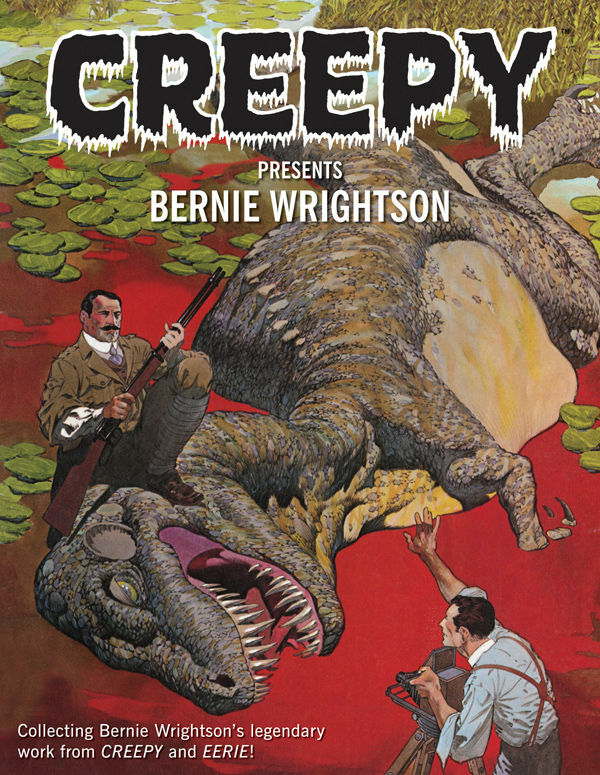 All of horror legend Bernie Wrightson’s Creepy and Eerie short stories, color illustrations, and frontispieces are finally collected in one deluxe hardcover [ISBN-10: 1595828095; ISBN-13: 978-1595828095]! 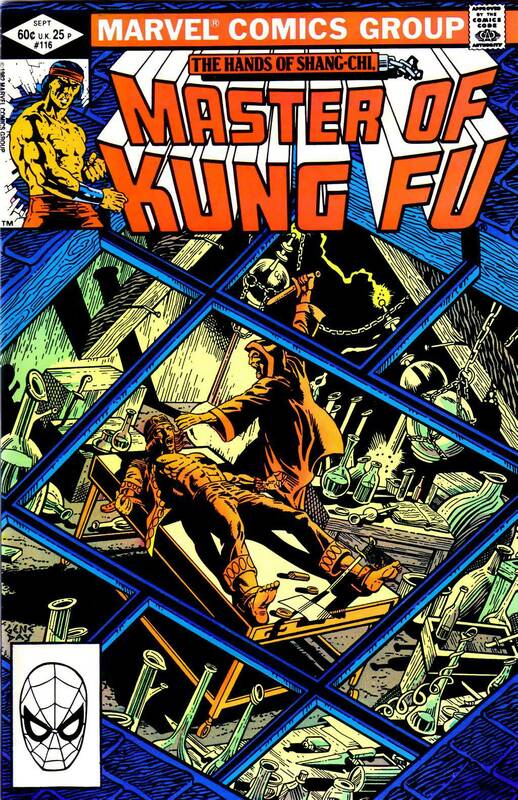 These classic tales from the 1970s and early 1980s include collaborations with fellow superstars and Warren Publishing alumni Bruce Jones, Carmine Infantino, Howard Chaykin, and others, as well as several adaptations and original stories written and drawn by Wrightson during one of the most fruitful periods of his career! 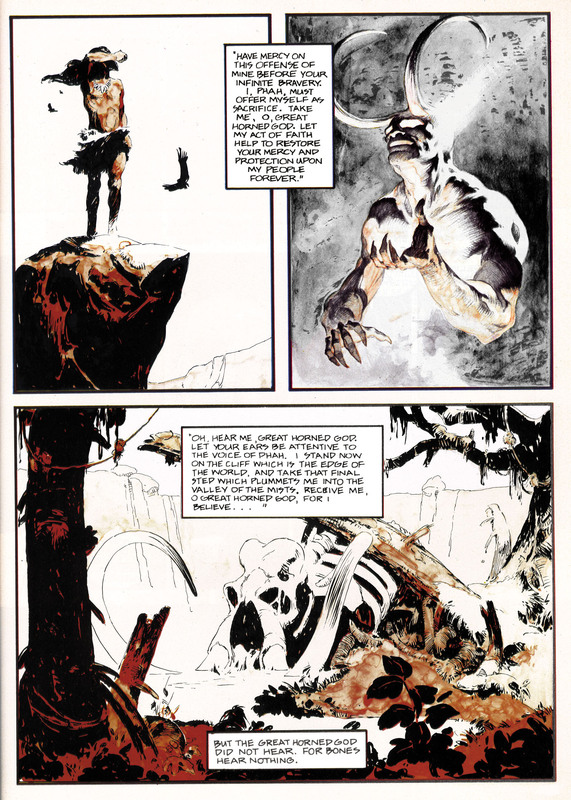 All stories and images in this collection are restored with care and reprinted in the same oversized format as Dark Horse’s award-winning Creepy Archives and Eerie Archives series. 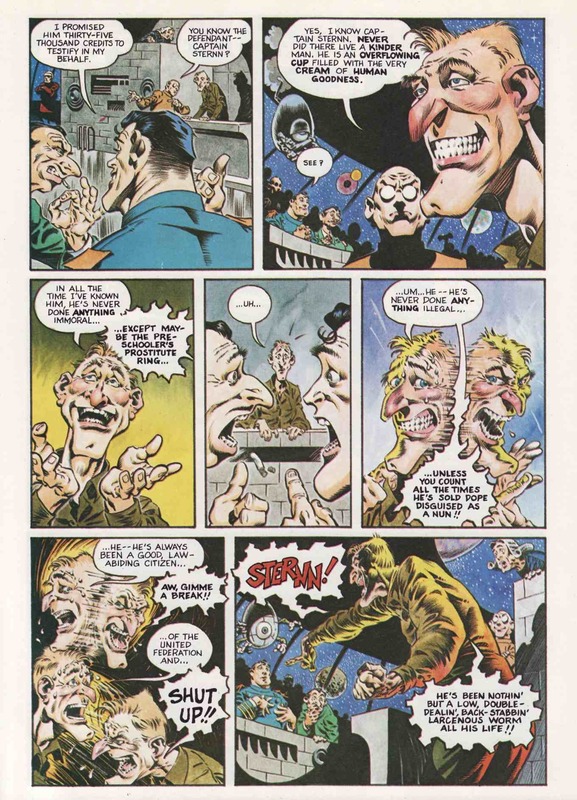 If this is to be a continuing series of artist-focused collections, the next book ought to be a Corben collection… and then Nino! I’ll update this post when more details are released. 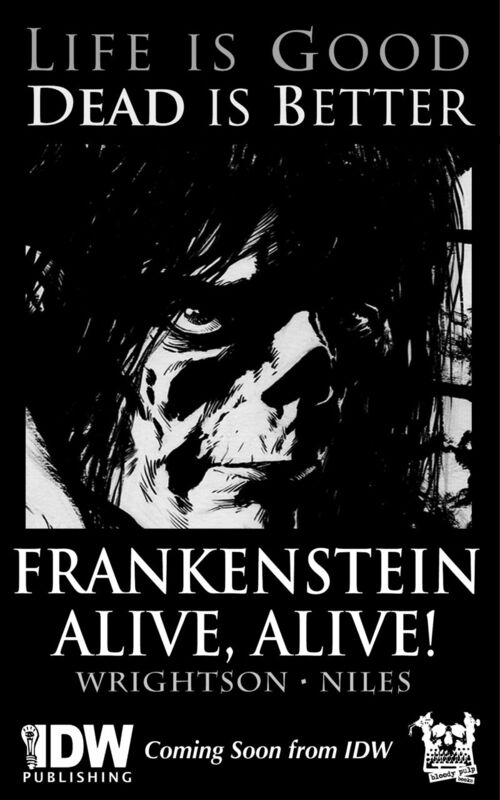 With very few exceptions, I simply don’t buy comics any more; however, I have a suspicion that this series will eventually be published as a hardcover companion to the Dark Horse edition of Mary Shelley’s Frankenstein, illustrated by Bernie Wrightson, when it’s done. But if not, I guess I’ll just have to do without it. As a way to bring my little rock to the cenotaph, I have a curiosity you may like to put on your website. 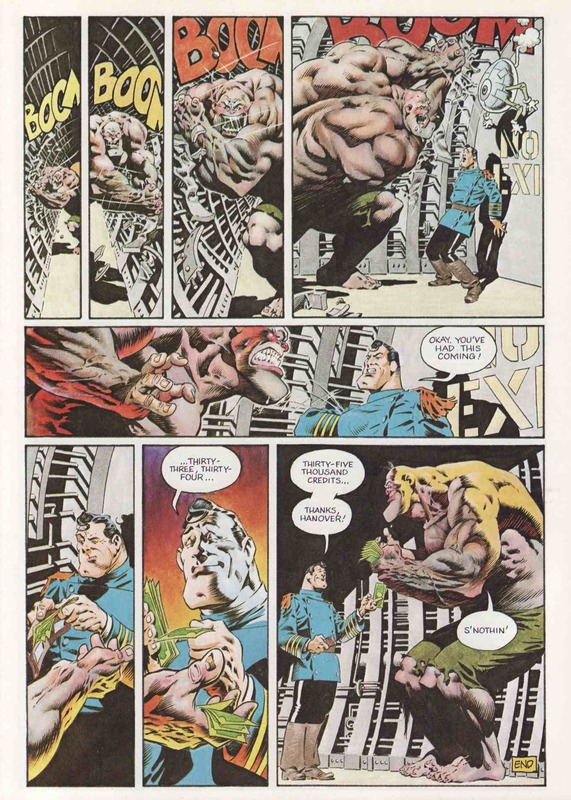 In the Jeff Jones site, the story THE BELIEVER by Jones and Wrightson is featured. 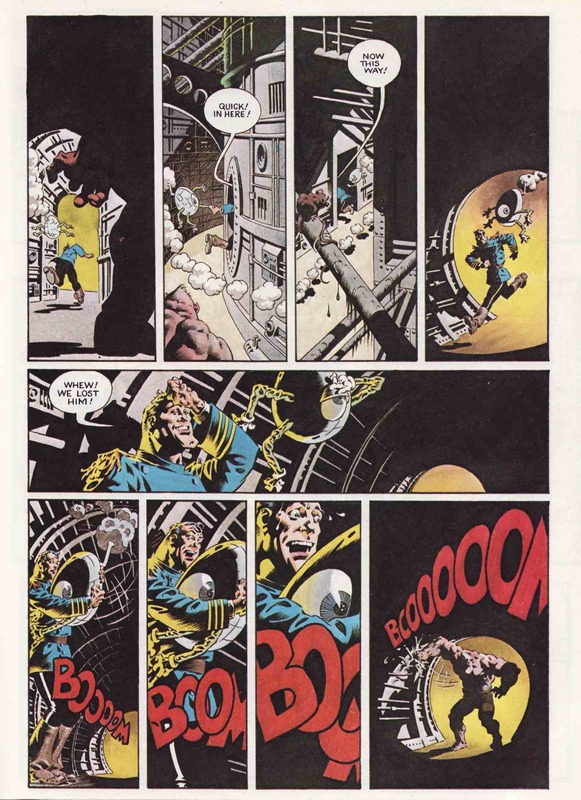 It is mentioned that: «unfortunately the two colors were printed in reverse». 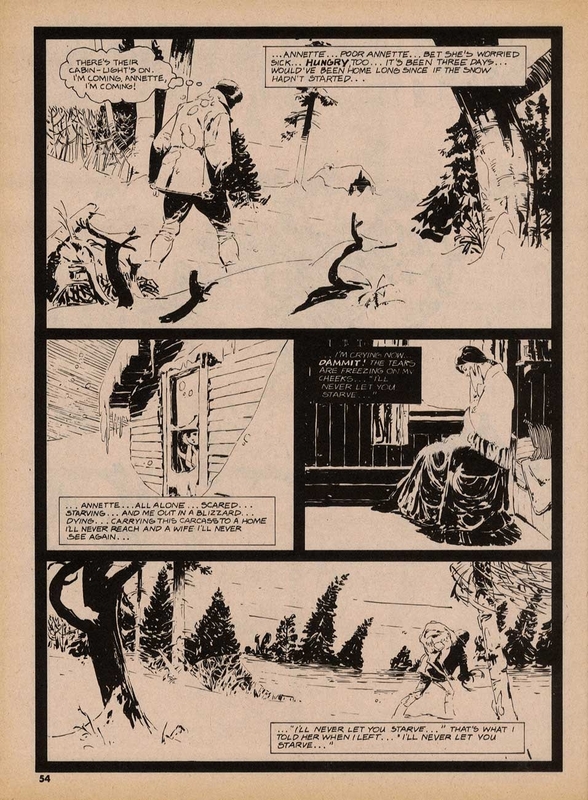 The same version is reproduced in the recent book on Jones but it was published in an other way in France, in a four color process printing, in the magazine Special USA n°14/15 in June 1985. 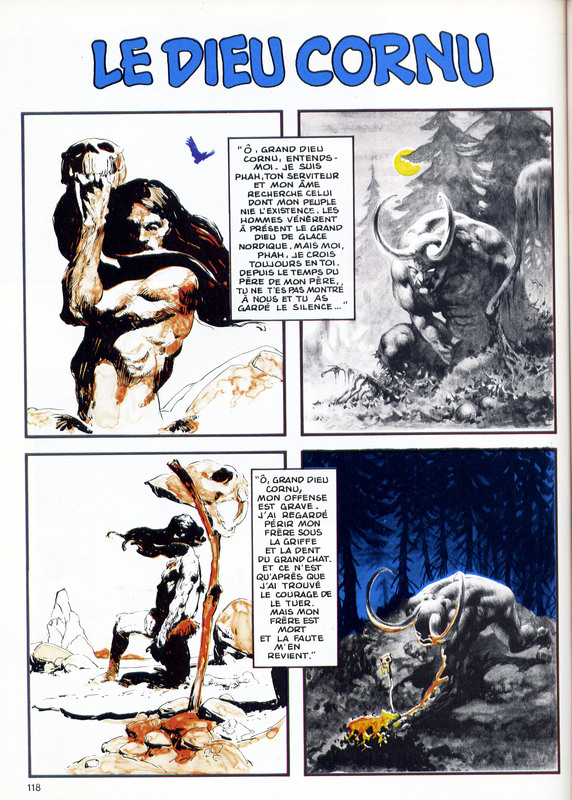 So there it was, out of the blue: in tribute to Jeffrey Jones, a fellow I didn’t know and who didn’t know me wanted provide my blog with scans of “The Believer,” by Jeffrey Jones and Bernie Wrightson, as it was published in a French magazine in 1985, with the colours printed in a way that brought the piece more into line with the intentions of the artists. Please wait one more day for the Believer. Since both versions are flawed, the original with reversed duotone, the French in four colors with an addition of blue and yellow, I’m actually building a third “virtual” one. Since I hadn’t yet seen the French version, I had to take Rotomago’s word that it was flawed in some way, but I definitely was intrigued by the promise of a “virtual” version of the story. I did, however, email Rotomago to ask him, please, if he would, to send me the flawed French version as well as his new and improved version. 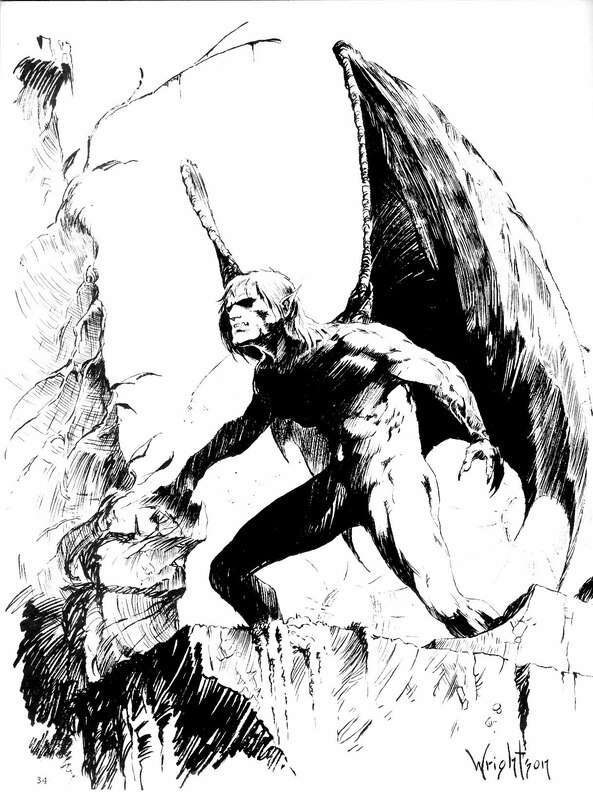 I explained that my plan, hatched at that very moment, was to display the two versions that he would have in hand once he was done together with the original version, which I already had on display here at RCN, in a single post. I said I thought it would be instructive. This morning, I received the files, and now here I am, ready to share them with you. 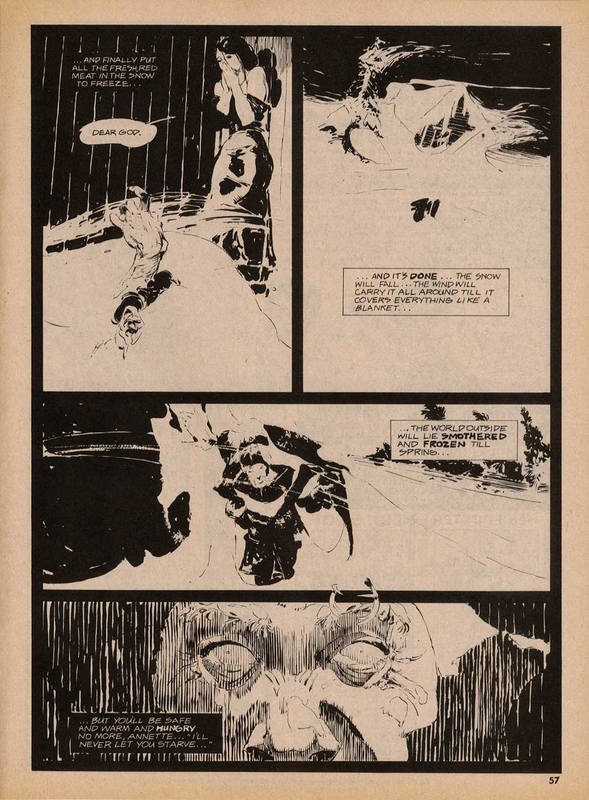 But please note: if you wish to share the “virtual” version of “The Believer” with others — I know I can’t stop you — I hope that you will acknowledge Rotomago as the wizard who has brought the story as close as it has ever been to the original intentions of Jones and Wrightson and perhaps even give credit to RCN as the source of the files. Or better yet, don’t just take the files and re-post them but instead simply link to this post. 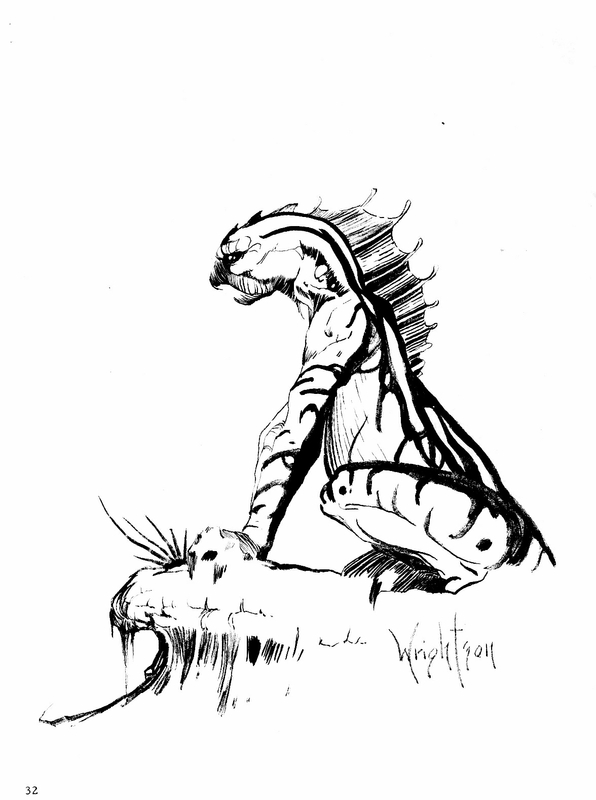 It surely would be feasible to make a decent reconstructed version fitted for publication. 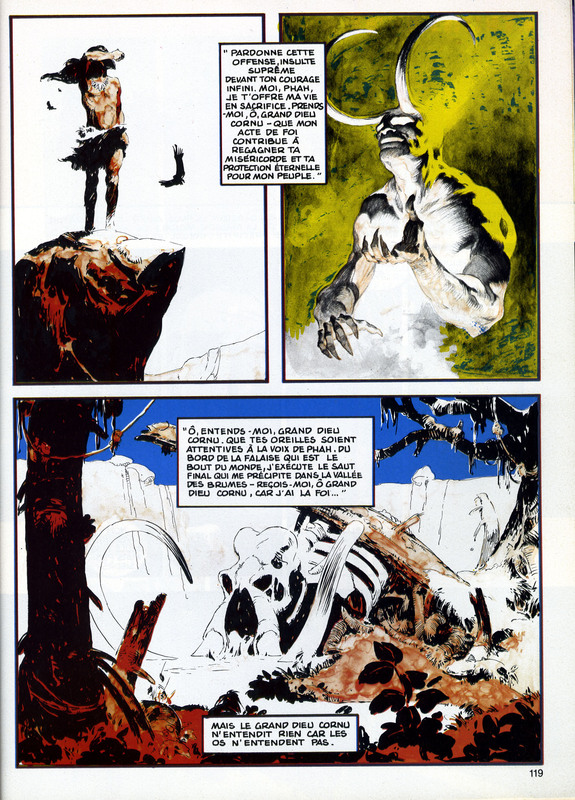 It would require multiple high-quality scans of both versions, a subtle balance of the colors layers, some alteration in the place of colors layers as the overlapping of colors is not always correct in the French version, a very long pixel by pixel cleansing (especially to remove the green stains [probably added by the French color engraver] in the background of Wrightson’s Page2 Panel2), as well as a slight increase in the size of pages to avoid blurring. But for the web view, I hope that this far from perfect version, will do the job. 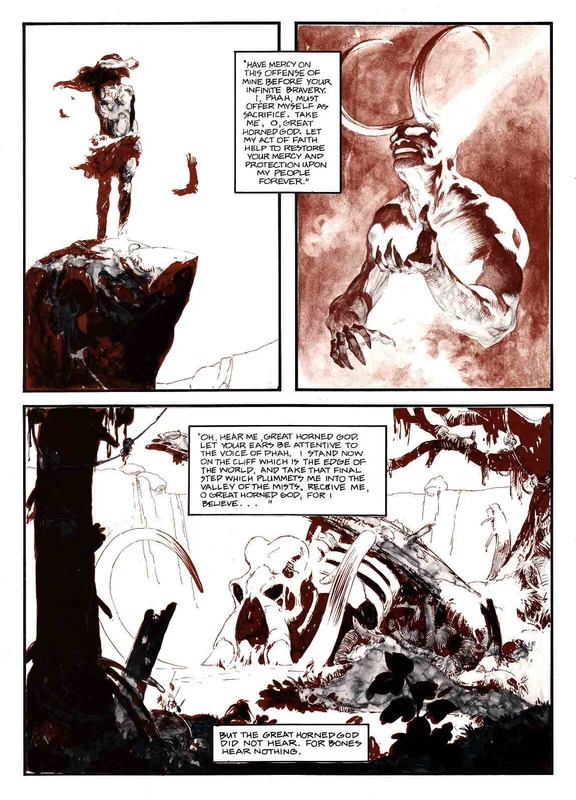 Note that after having spent some time studying these two pages on my screen, my fancy for them has even more increased! 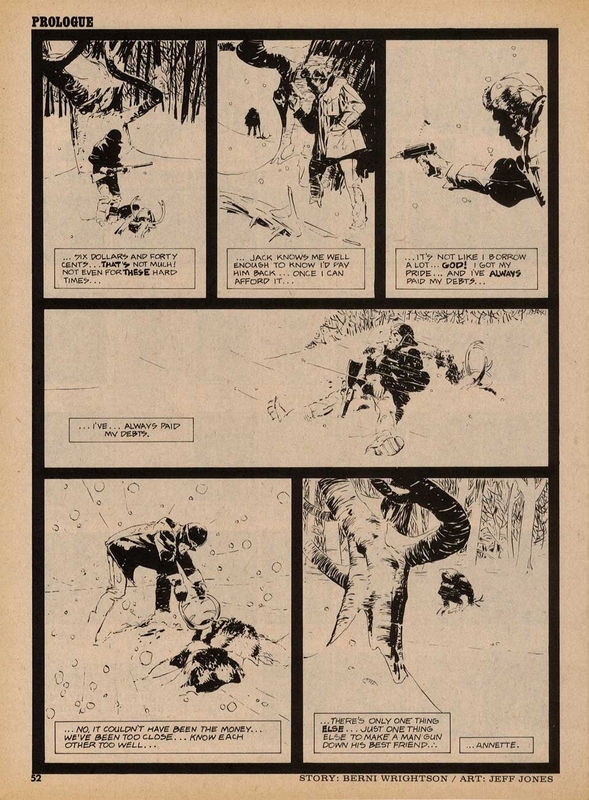 Such delicate and subtle pictures! 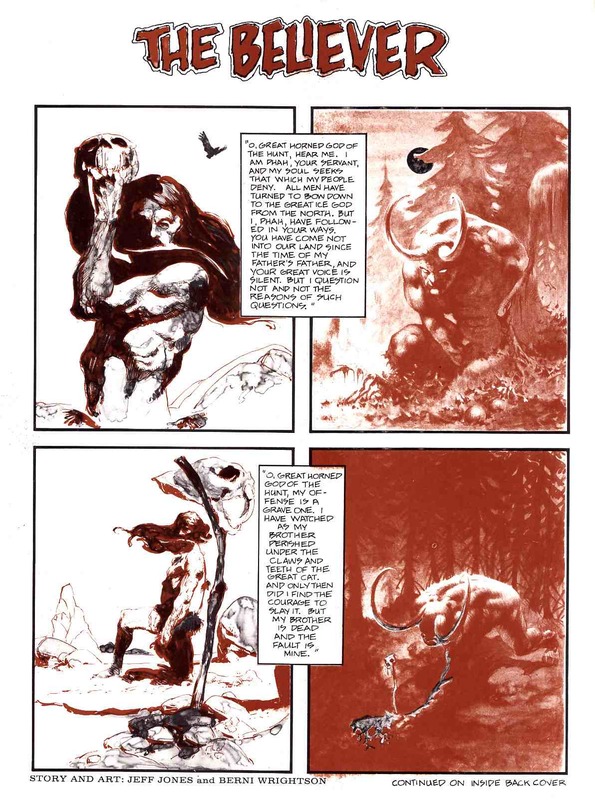 Although I, for one, sort of miss the fiery red-orange cast of Wrightson’s horned-god panels as they appeared in the original printing, I’m sure that fans of Jeffrey Jones and Bernie Wrightson will want to thank Rotomago for the terrific work he has done to reconstruct “The Believer” that should have been but wasn’t. 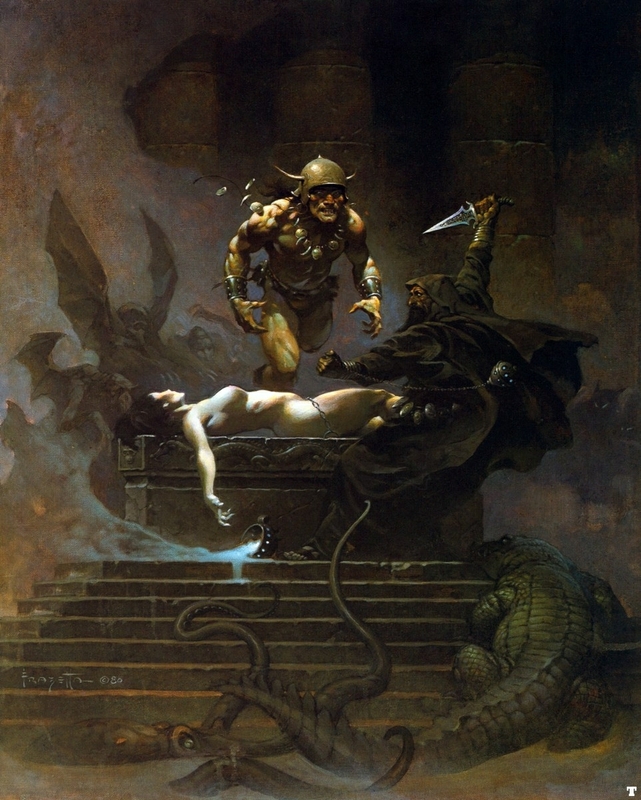 But even if they don’t, I know that I personally want to thank him, again, for his surprising, unsolicited contribution to this site and for going the extra mile to enhance our appreciation of a story that many have admired over the years but none have seen reproduced in exactly this way before, ever. 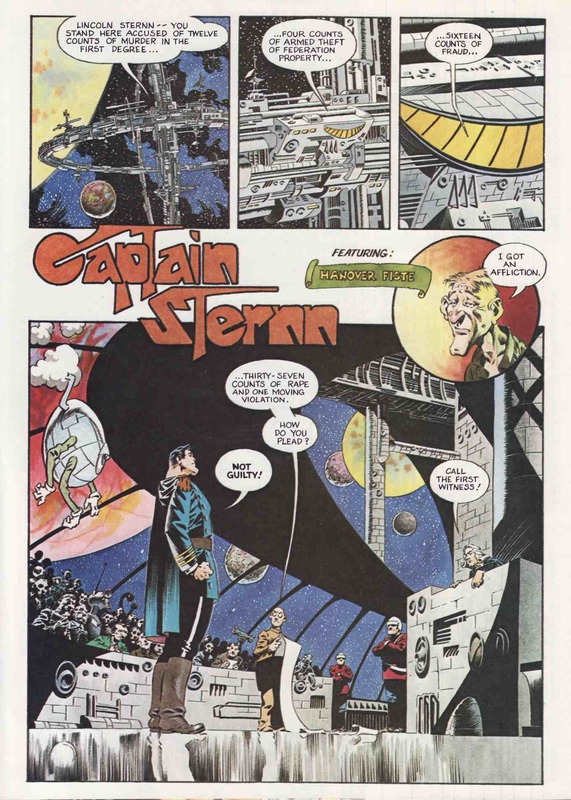 Flipping through the second issue of the E.C. 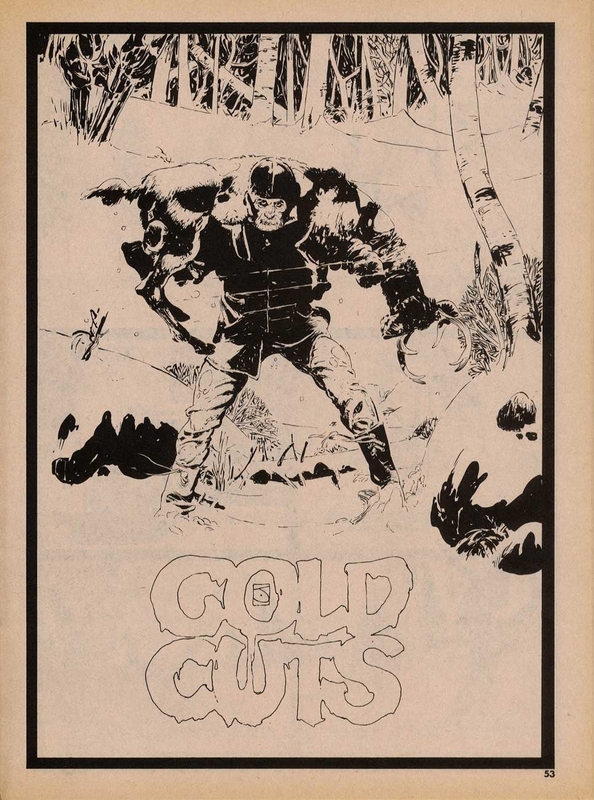 fanzine, Squa Tront, I came across a profile of Bernie Wrightson that made me chuckle. 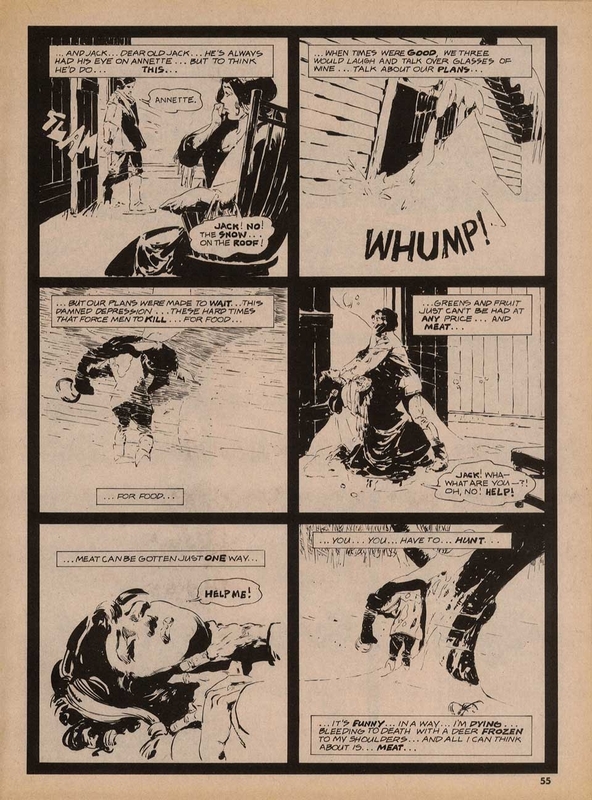 Published in September 1968 — the same year that, according to his official Web site, Wrightson “turned pro” — the profile includes a short biographical and artistic statement as well as three full-page reproductions of Wrightson’s work. 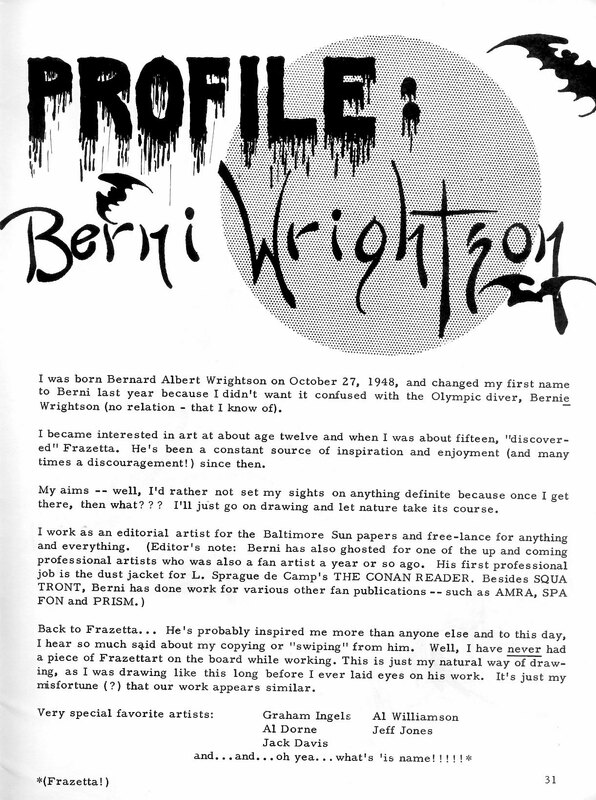 In the statement, the man formerly known as “Bernard Albert Wrightson” explains why he has decided to go by the name “Berni” instead of “Bernie” (a decision he later reversed); he forthrightly acknowledges his longstanding fascination with and admiration for the work of Frank Frazetta; and he vigorously defends himself from the charge that his own work is overly indebted to that same artist: “He’s [Frazetta has] probably inspired me more than anyone else and to this day, I hear so much about my copying or ‘swiping’ from him. 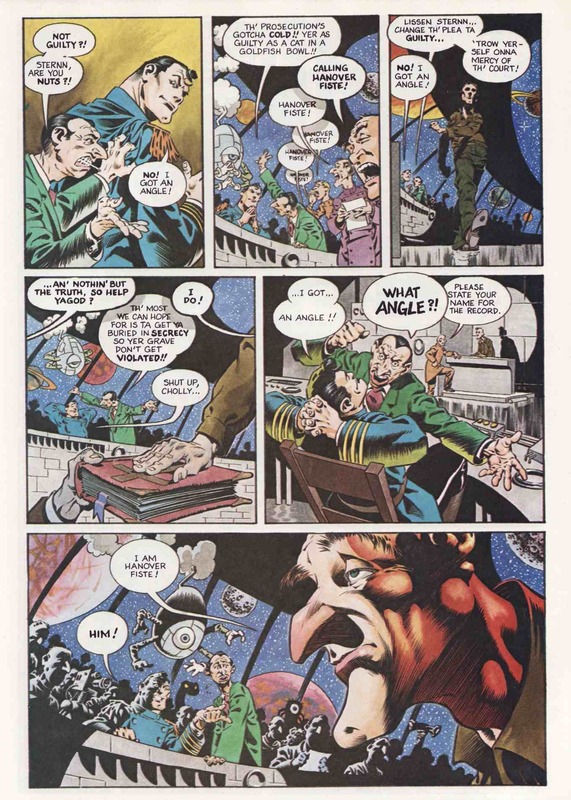 Well, I have never had a piece of Frazettart [sic] on the board while working. 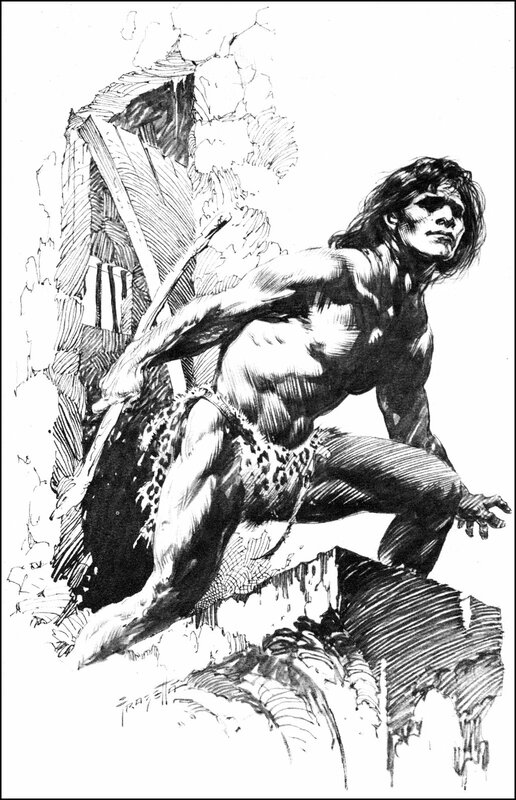 This is just my natural way of drawing, as I was drawing like this long before I ever laid eyes on his work. It’s just my misfortune (?) 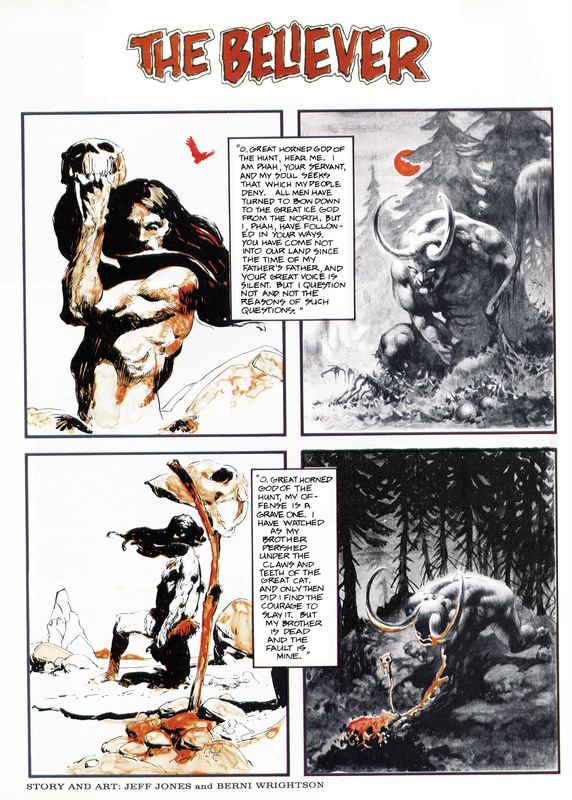 that our work appears similar.” Trouble is, Wrightson, who was only about 20 years old at the time, says right in his statement that he “became interested in art at about age twelve and when I was fifteen, ‘discovered Frazetta. 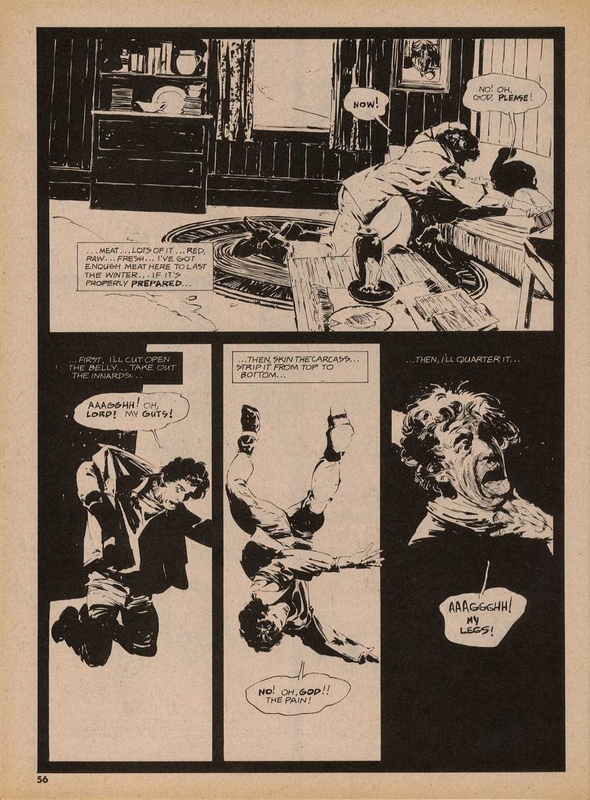 '” Now, I don’t know what kind of prodigy Wrightson was, but if he was drawing like Frazetta long before he ever laid eyes on Frazetta’s work, then clearly he would have had to have been doing so between the ages of 12 and 15… which, to my mind, definitely does not pass the… uhm… uh… anyway, from Squa Tront #2 (September 1968), here’s “Profile: Bernie Wrightson,” along with an illustration by Frazetta, originally published in the Canaveral Press edition of E.R.B.’s Tarzan and the Castaways (1965), that did NOT appear in Squa Tront but, in light of Wrightson’s statement, holds a certain interest, I think. 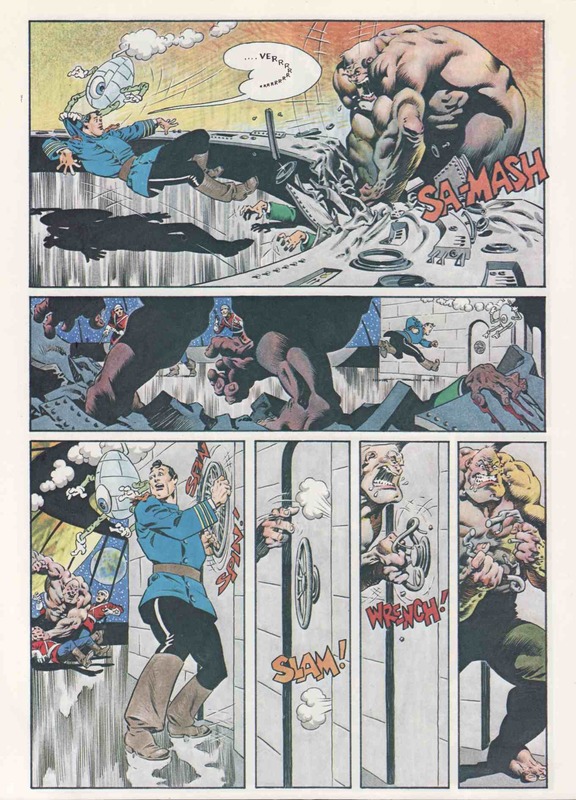 Do you see now why “Profile: Berni Wrightson” made me chuckle? 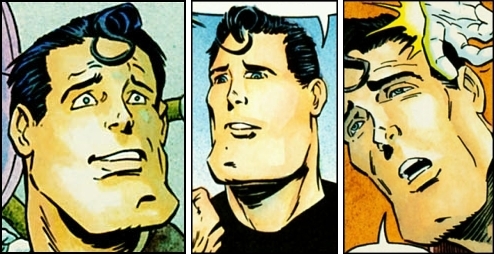 Ah, the impetuousness of youth! Mix ingredients. Bake until stiff. Stick it in a cool window. Call it a Day. 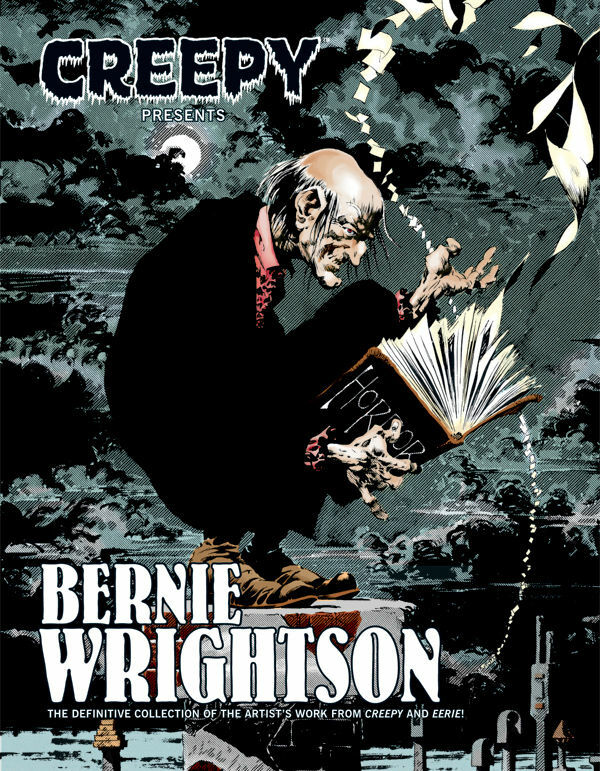 Bernie Wrightson · Comics · Here, Read · Look Here · Separated at Birth? Okay, I admit it. This one isn’t an original. 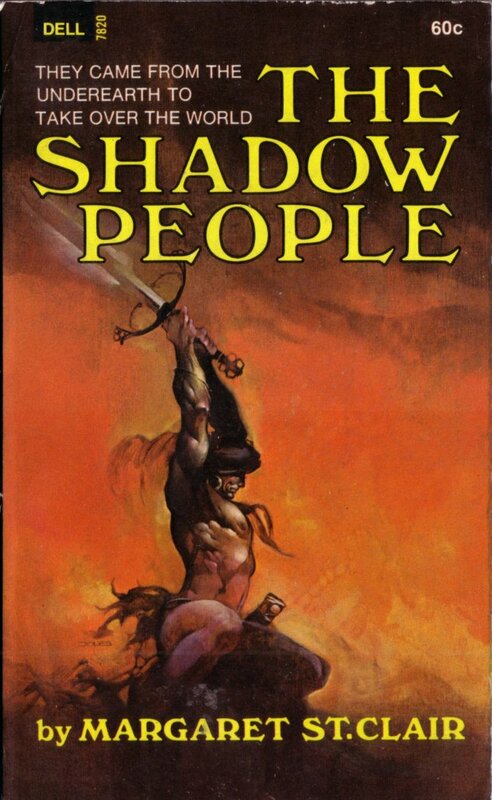 ABOVE: Margaret St. Clair, The Shadow People (Dell, 1969), with cover by Jeffrey Jones. 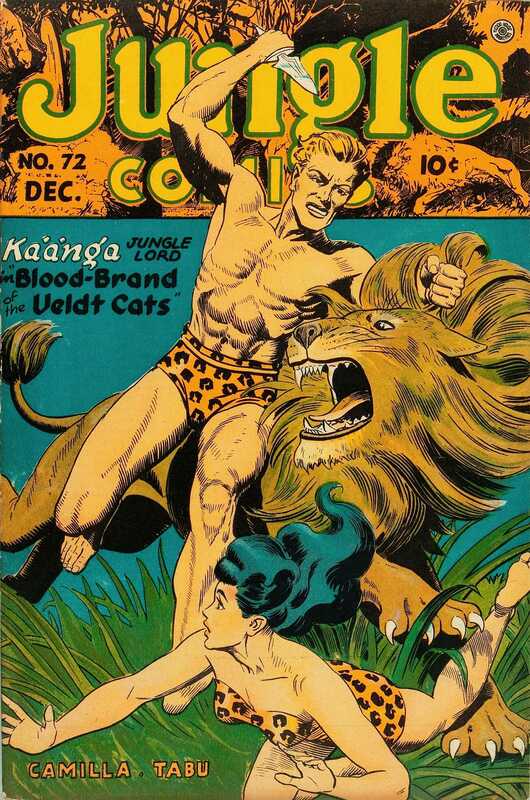 Also, please note that I’ve replaced the JPEGs that used to be displayed in this post with the larger versions that I uploaded on 01 June 2011. 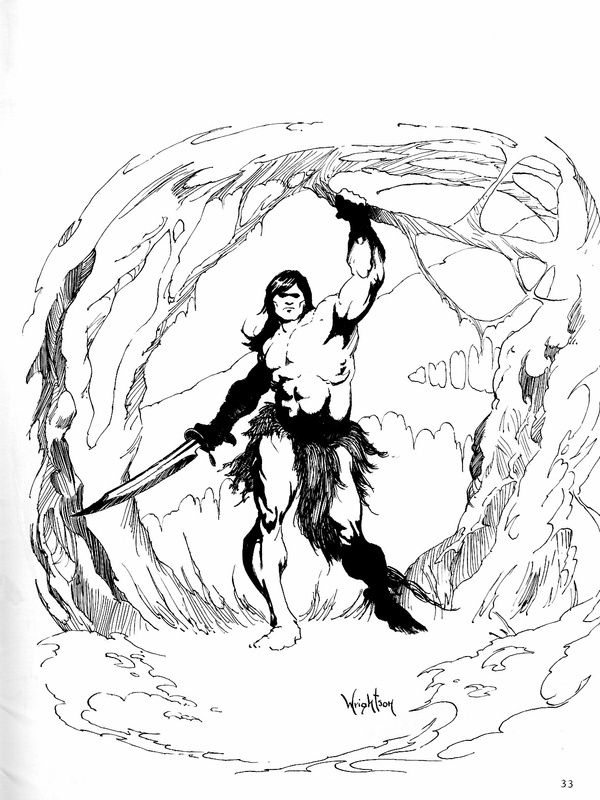 Ebay Feedback Profile for Jeffrey Jones – buy some art!